Let’s face it – 21st Century dating is tricky. Whether you’re tackling Tinder, grappling with Grindr or puzzling over Plenty of Fish, modern technology has brought us closer but with a whole new set of dating rules and etiquette. 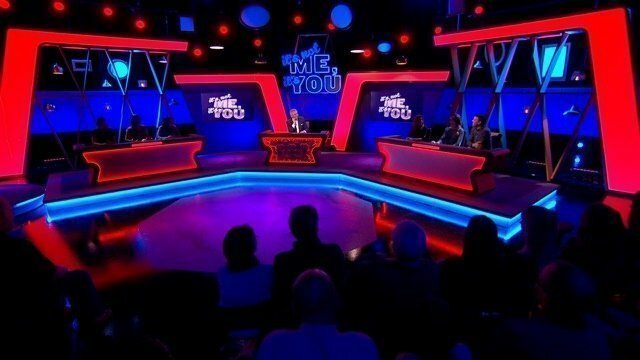 Luckily Eamonn Holmes is on hand to help with his new panel show It’s Not Me, It’s You, exploring the world of dating and relationships and moving light specialists Richard Martin Lighting (RML) are on hand supporting Lighting Designer Roger Williams. It’s Not Me, It’s You sees Eamonn Holmes joined by team captains, model and actress Kelly Brook, and the reigning Queen of the Jungle Vicky Pattison as they set out to prove who’s the top dog when it comes to dating. Each week they’re joined by four celebrities as they go head-to-head in series of mischievous games and challenges intended to draw out their own funny stories and experiences. The challenges include ‘Bonkbusters’, ‘You Complete Me’ and ‘First Impressions’ which sees the guests have to guess which of them is responsible for a humorous anecdote told by Eamonn. The show culminates in, ‘Love at First Swipe’, which sees the teams take turns to play a live video Tinder-style game on a giant swipe screen. With a seductive and contemporary feel to the set, Roger has employed an old favourite, the Mac Aura, using over thirty to compliment the look. The Mac Aura is an award winning light that is still one of our most popular units due to its flexibility as a powerful beam and wash light. The Aura’s ground-breaking optical system combines multicolor beam LEDs with a secondary LED lens array illumination to produce an all new visual palette that takes the synthetic look out of LED wash lights and allows for truly unique lighting design possibilities. 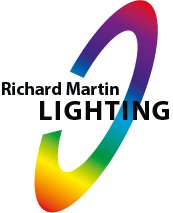 It is a diverse unit and can be used as a powerful single-lens wash or as a separate set of individually controllable multicolor LEDs for radical to subtle eye-candy looks. And with a built in FX engine, extraordinary effects can be created fast. It’s a striking new set from designer Alex Craig, the original idea was for it to be against a white cyc. After discussions it was decided to set it against blacks and, as I’m desperately trying to avoid using smoke and beams where I can, Auras were the perfect choice to fill in lots of gaps above the set. They go so beautifully wide, enhance the warmth of the wood, and add some colour where needed. They are still my favourite and most used moving light. Thanks again RML for having enough in stock for a 5 week run!